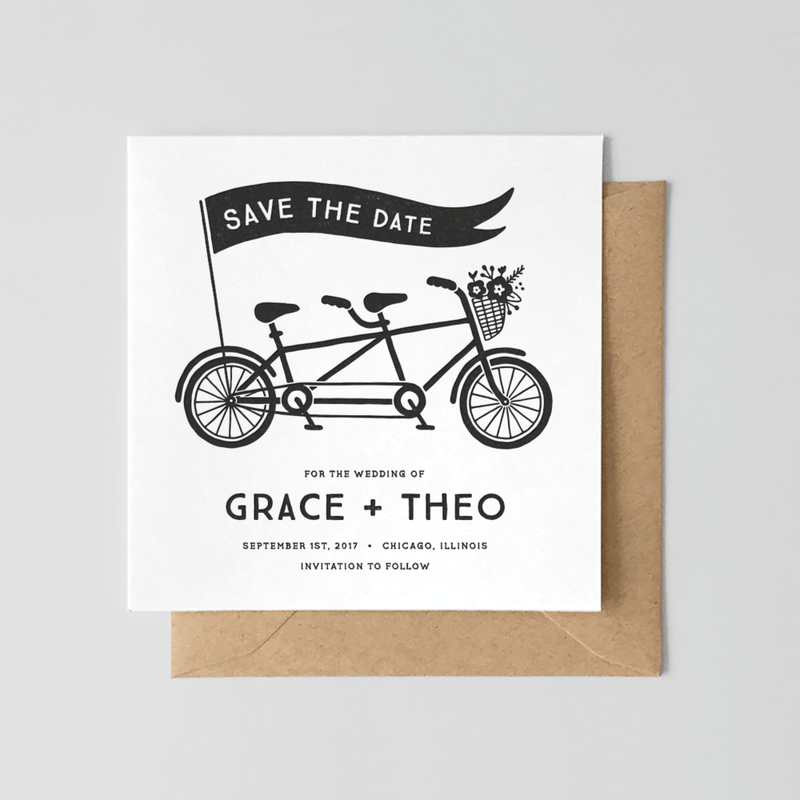 Letterpress printed save the date featuring a tandem bicycle illustration. Designed and printed by Hello Paper Co.
Save the Date card letterpress printed on extra-thick 100% cotton paper. The design features an illustrated tandem bike and black lettering. Comes with kraft envelope.